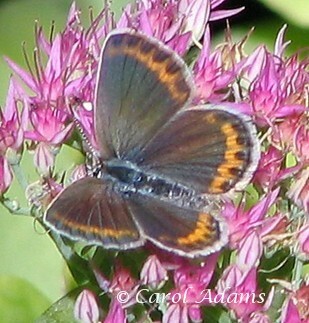 Identification: Upperside of male blue with narrow dark border; female brown with blue tinge. 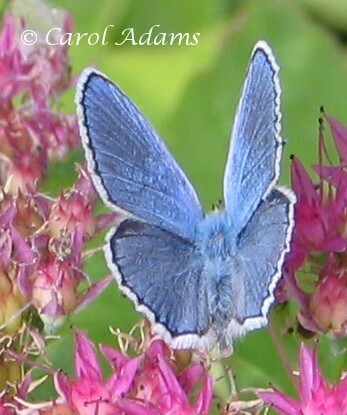 Underside with continuous black line along outer margin of both wings. 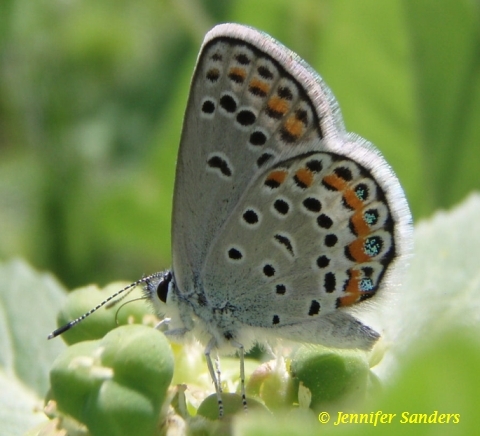 Red-orange submarginal row is continuous in subspecies melissa and divided into separate spots in subspecies samuelis (Karner Blue). 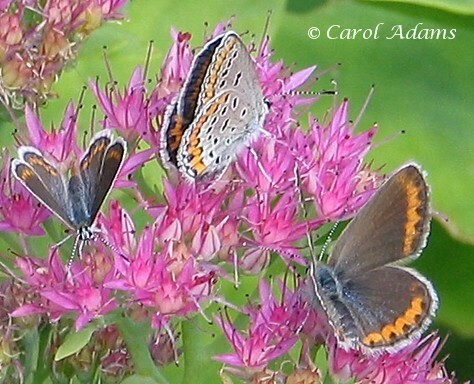 Life History: Males patrol near host plants for females. 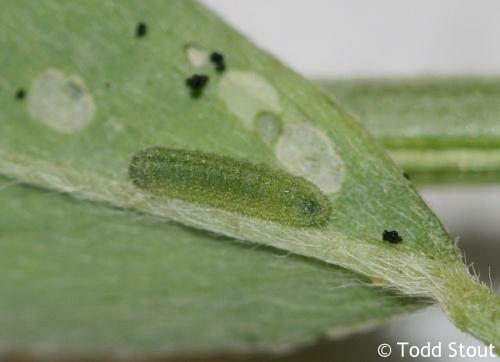 Eggs are laid on assorted parts of the host plant or on nearby debris. 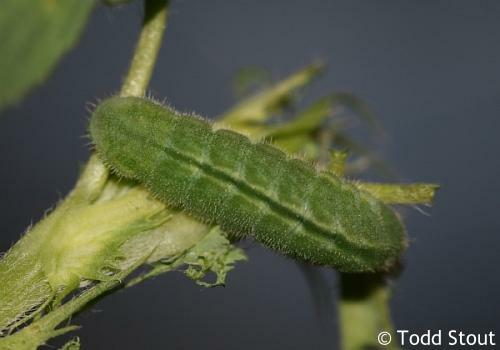 Caterpillars eat young leaves and are tended by ants who feed on the caterpillars' sugary secretions. 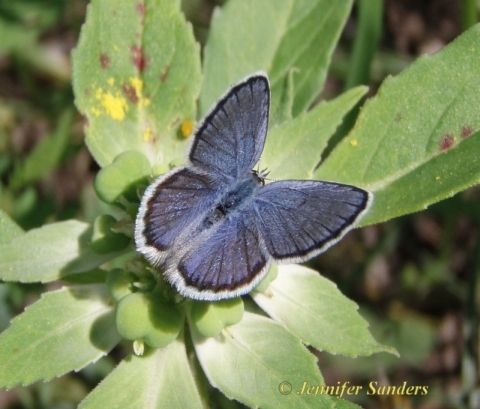 Flight: Two broods from May-August for the Karner Blue (subspecies samuelis) in the East; three broods from April-October for subspecies melissa in the West. 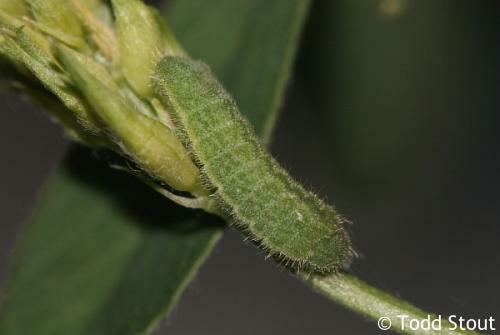 Caterpillar Hosts: Lupine (Lupinus perennis) for the Karner Blue. 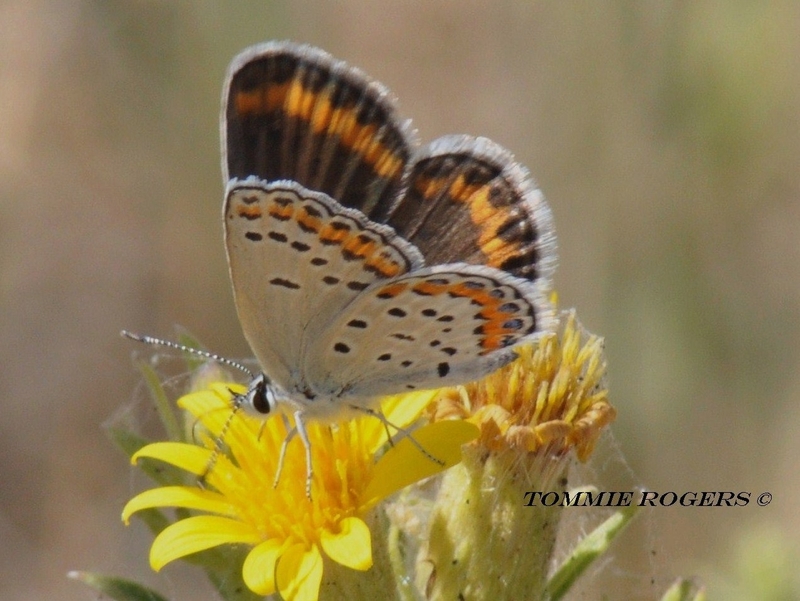 The western population feeds on various legumes of the pea family including Astragalus, Glycyrrhiza, Lotus, Lupinus, and Medicago species. 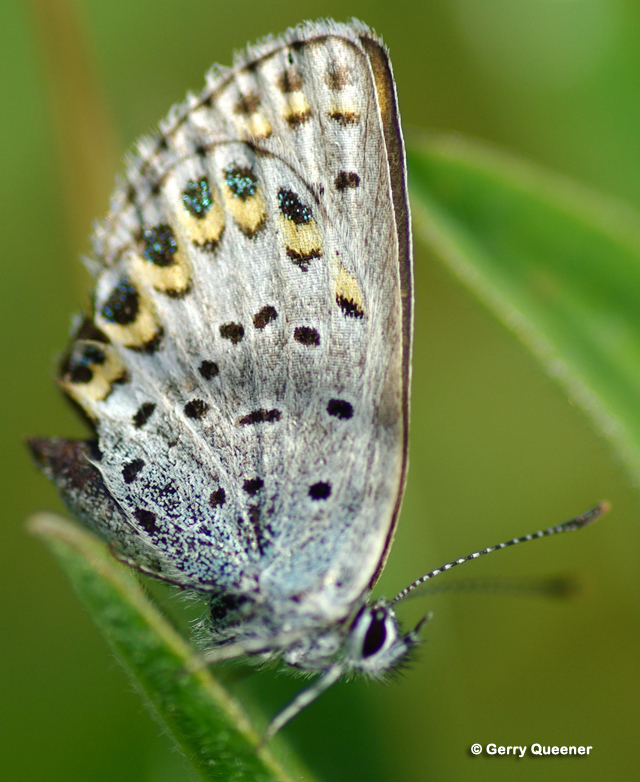 Habitat: Karner Blue (subspecies samuelis) inhabits sandy pine prairies, barrens, and lakeshore dunes in the east. 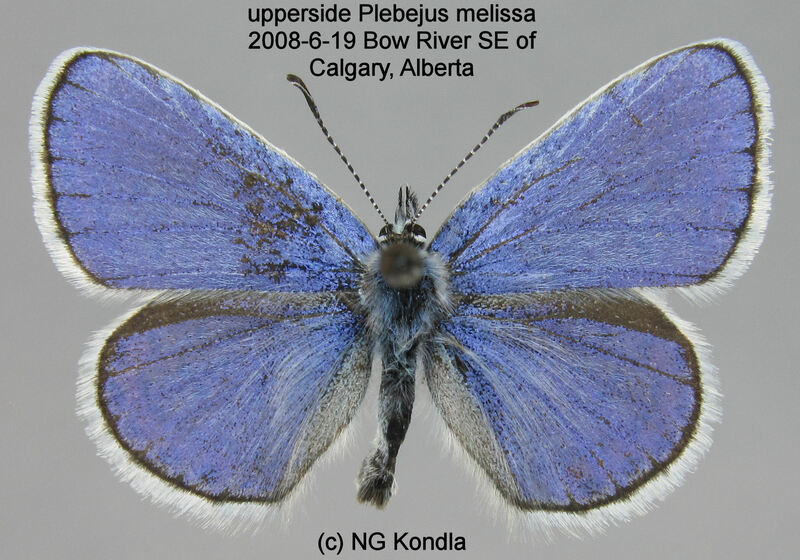 Subspecies melissa is found in the west in open, weedy areas and prairies. Range: The small, isolated colonies of the Eastern population (subspecies samuelis) occur from southern New Hampshire and central New York west to Wisconsin. 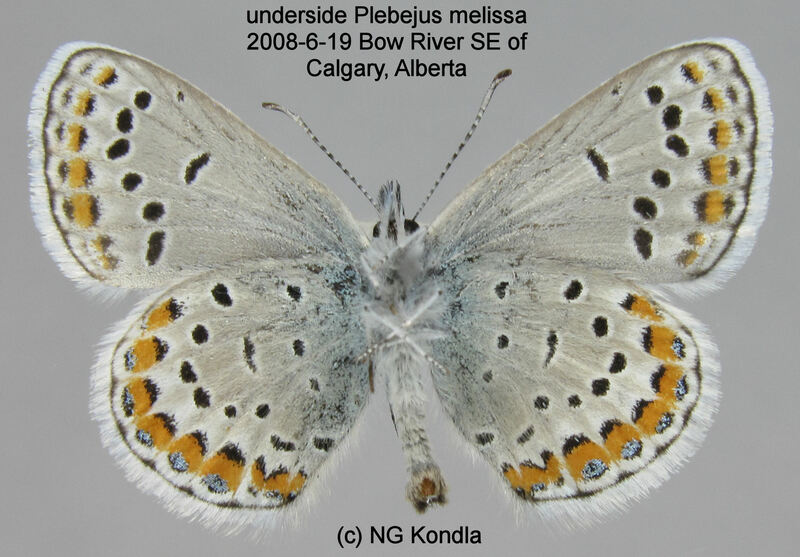 The western population (subspecies melissa) is found in the Intermountain West from Canada to Baja California, plains, and prairies east to northwestern Iowa and southwestern Minnesota. 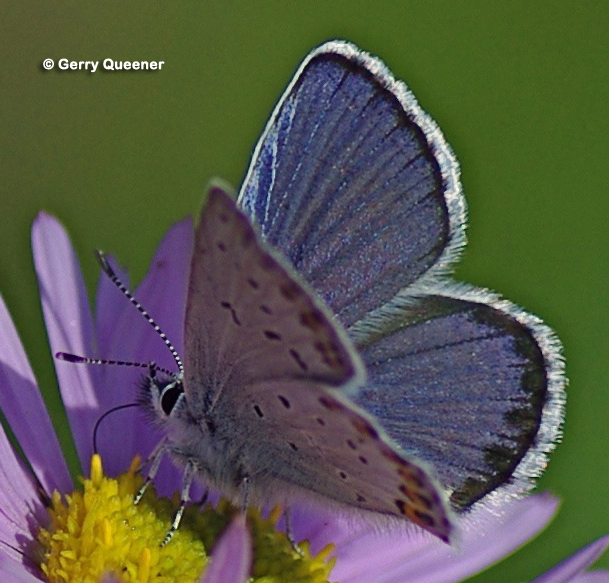 Conservation: The Karner Blue is eradicated or endangered in several states and has The Nature Conservancy rank of T2 - Imperiled because of rarity (6 to 20 occurrences), or because of other factors demonstrably making it very vulnerable to extinction throughout its range. (Endangered throughout its range). 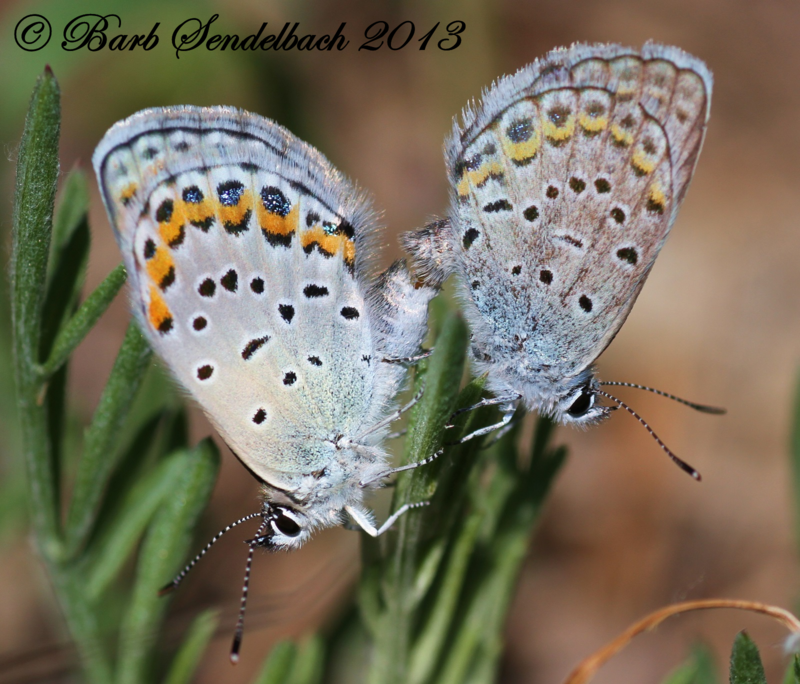 Management Needs: Proper management is needed for Karner Blue habitats.